When you’re deciding what to do on your Cape Cod vacation, make a smart decision and opt for whale watching or seal watching. And in case you haven’t heard – it has actually made national news…many times – there are sharks in the waters off Cape Cod which means that shark watching is also now an option! There’s a reason a Cape Cod whale watch is one of the best whale watches in the world; because our waters are teeming with whales. 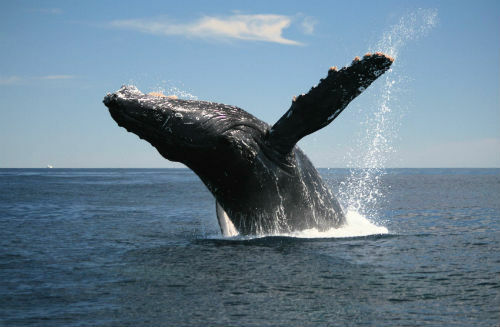 After starting on the West Coast in the 1950s, whale watches began operating on the East Coast several decades later. With so many whales, both in number and species, the number of people enjoying whale watches on the East Coast quickly surpassed the West. And now, with decades of experience under their belts, Cape Cod whale watching is simply unsurpassed. There is simply nothing like seeing a humpback whale frolicking in the water with her calf alongside; trust us on this one! The Cape Cod whale watching season runs from mid-April through October. The best time to whale watch on Cape Cod is really a matter of preference. Mid-April is when large groups of rare North American right whales feed off our coast. You may not see as many whales as you would in the summer months, but what you do see will be remarkable. As the season, and the water, heats up so do the number of sightings and that number will stay strong well into the fall. With four vessels, Dolphin Fleet Whale Watch in Provincetown is the largest whale watch operator on Cape Cod, sailing from mid-April through late-October, with multiple trips throughout the day that last approximately three to four hours. 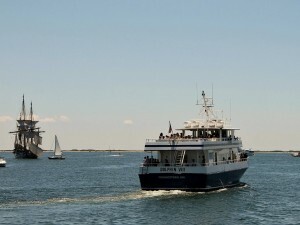 Also on Cape Cod is Hyannis Whale Watcher Cruises which sails out of Barnstable Harbor. Regardless of which you choose, you’ll be in good hands with experienced captains at the helms of Coast Guard-certified boats. While they may not inspire quite the awe of a 35-foot whale jumping out of the water, with their massive brown eyes and expressive faces, seals win out when it comes to the ‘awww’ factor. As the number of seals living in the waters off Cape Cod began to increase – big time – so too did seal watching on Cape Cod. 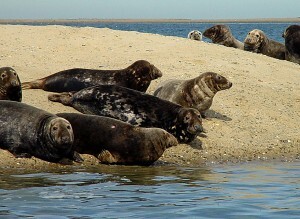 There are now thousands of seals in the area and one of their favorite places to haul out and sunbathe is Monomoy, just a few miles from Seadar Inn, which makes a seal watch a great option for a quick trip. Sailing from Harwich Port is Monomoy Island Excursions. 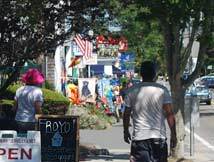 In Chatham are Beachcomber Boat Tours and Monomoy Island Ferry, and in Orleans is Blue Claw Boat Tours. With the increase of seals in our area came an increase in great white shark sightings. Great whites eat seals. This is a fact of nature you’re better off knowing before you opt for shark watching on Cape Cod. If this doesn’t scare you; go for it! Cape Cod Shark Adventures offers private shark watching tours and – if you want to get really up close and personal – shark diving trips. They’ll find the sharks and then lower you into the water in a specially-built shark cage. In addition to great whites, expect to see basking, thresher, blue and mako sharks. Trips can accommodate up to six people; advance reservations are required. Seadar Inn » Whales, Seals & Sharks: You’ve Got to See It to Believe It!